Christmas is just around the corner and the time to decide what I'm going to wear has finally come. One of them is the one I'm wearing today and it's based on black shades that make the look chic and formal for such most Christmas occasions. I combined a black skirt with a baroque body leotard a black fur, studded heals and a sliver clutch. Designing a Embroidered dress specially for parties requires a lot of experience and innovative skills in the field of dress designing. With the advancement in technology and media intervention fashion industry has groomed enough to compete at world level. Lots of Pakistani fashion designers contributed in this success and Shamaeel Ansari is one of them. She doesn’t need any introduction as she is one of the pioneers of industry. She started her career about 24 years ago as a novice in fashion world. She has groomed herself and now she is at top of the industry. 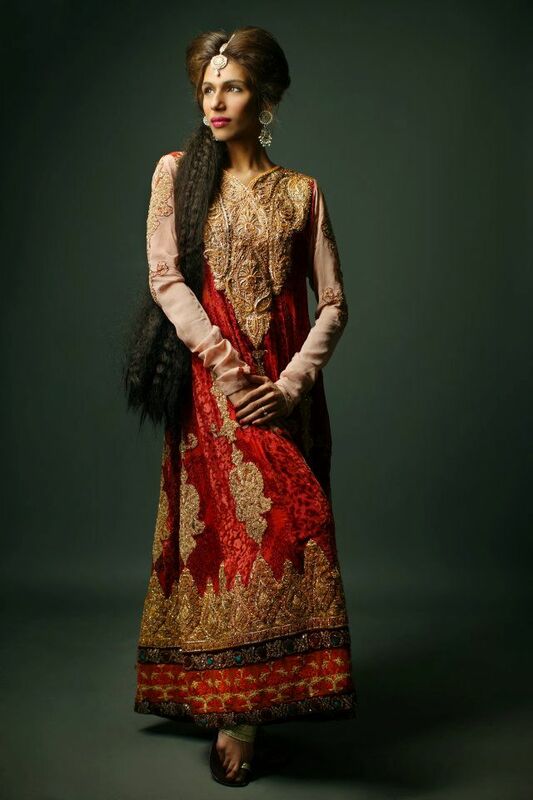 Today we have brought here a very elegantEmbroidered Dress collection from the house of Shamaeel Ansari Dresses which she recently launched with the name of Couture Shamaeel Collection 2012-2013. 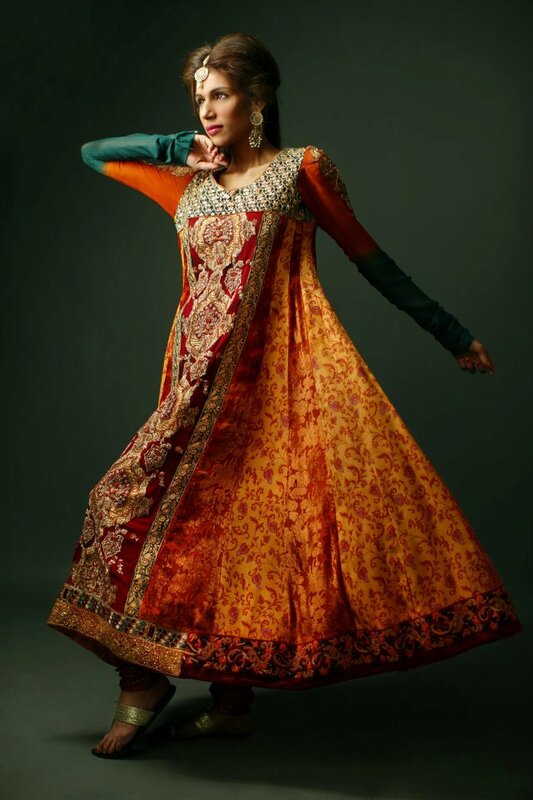 The collection consists of mind-blowing designs and patterns. The designs are according to the latest fashion demands and patterns prevailing. Shamaeel designed beautiful long kurti’s with choridar trousers. Kurti’s have loose semi frock pattern which are looking gorgeous. 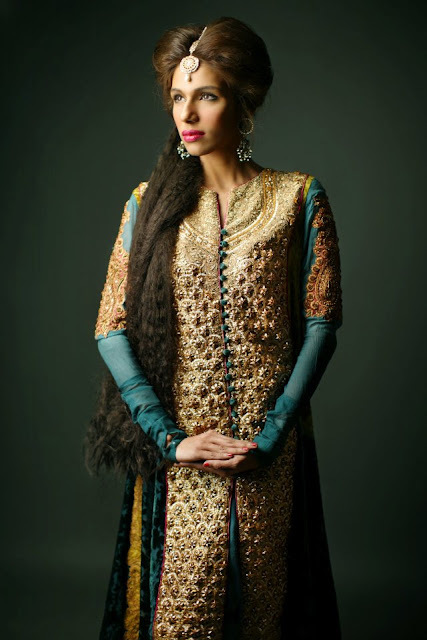 Have a look on Embroidered Party Wear Collection of Shamaeel Dresses. Preparations are at peak level now days. This season brings bundle of parties and celebrations with itself. 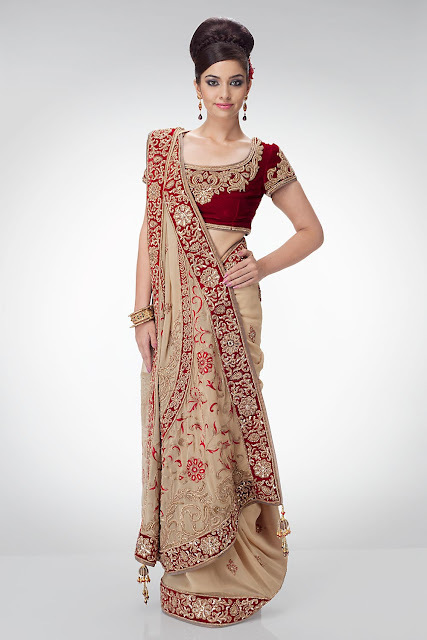 Today she9 team brings beautiful party wear attires collection for the coming parties. 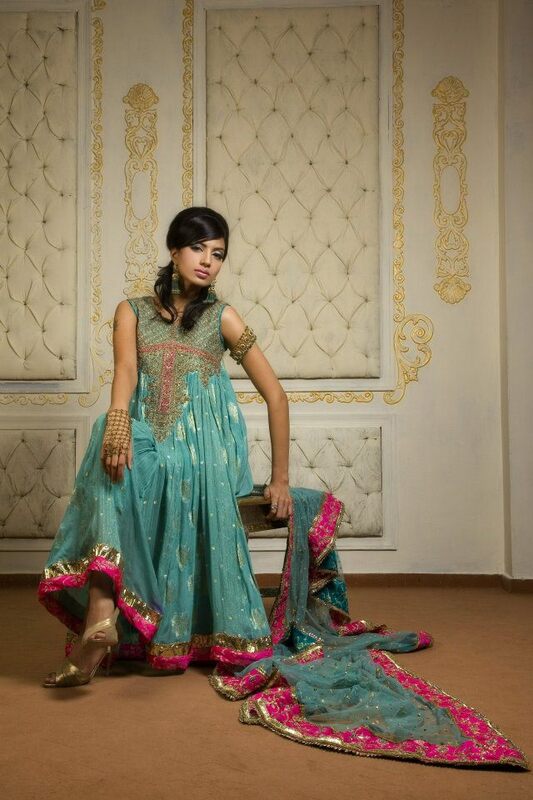 The collection consists of party wear dresses designed on the basis of modern designing patterns. All the dresses have elegant color schemes and beautiful embroidery and ornaments work. I will not take your time any more; let’s have a quick tour to New Party Wear Dress collection 2012-2013. 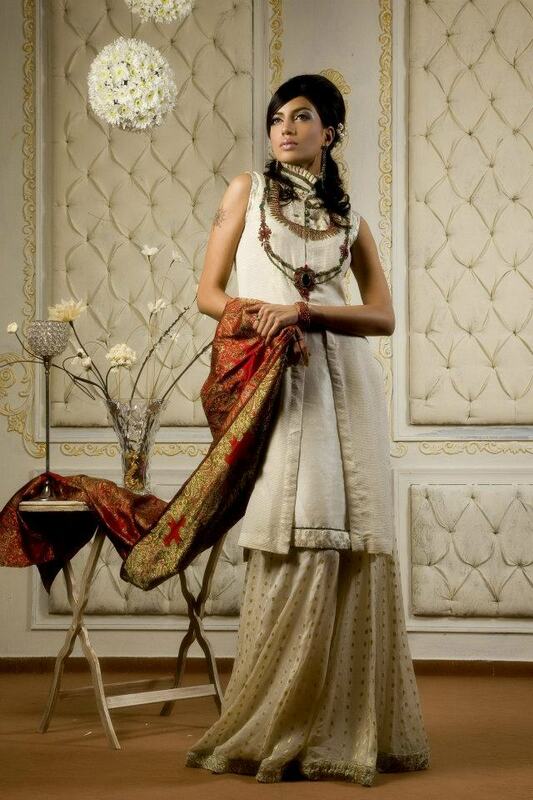 This superb attire is a combination of modern western pattern and local cultural designing techniques. 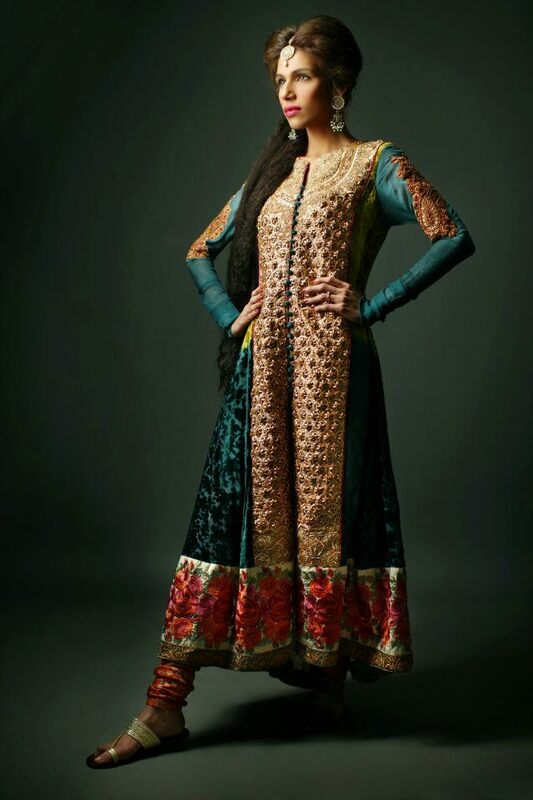 Sleeve less full length kameez have beautiful thread embroidery at bust and fancy lace strip work at lower border. The attire pattern has been beautifully designed which has skin tight shape above the waist and loose umbrella shape below the waist. 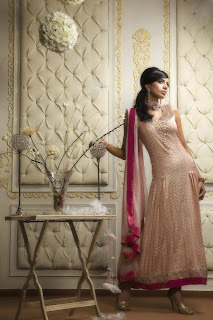 Pink color scheme is looking marvellous and best for Formal Parties. This zinc color fancy sleeveless frock is looking gorgeous. It has been designed exclusively by keeping the party wear concept in mind. 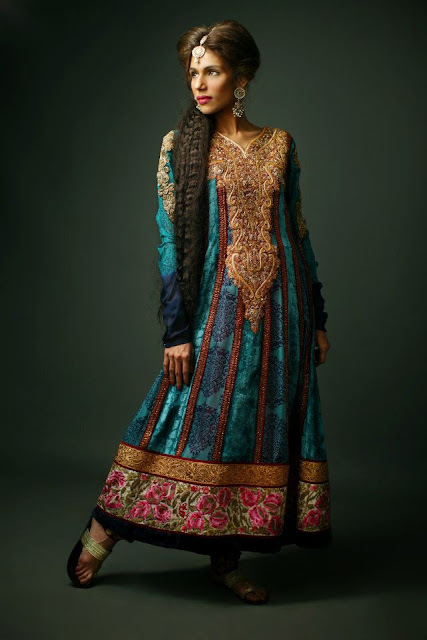 The dress has fancy Zari embroidery at bust. The embroidery design is superb. Wavy pattern of frock is looking gorgeous. Below we have some other beautiful party wear dresses. 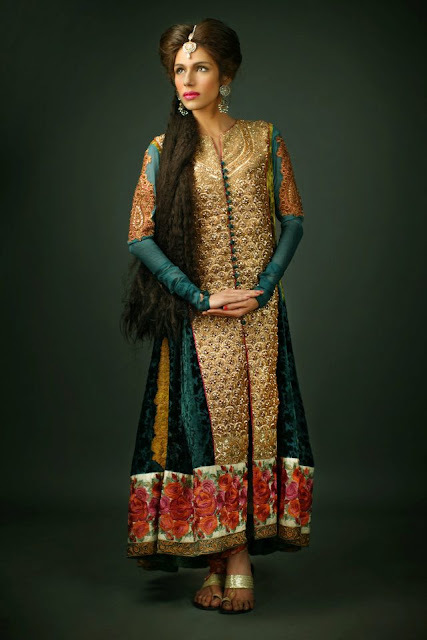 The collection has a wide range of colors with a variety of latest dress patterns and embroidery designs. One will suit you on parties, just select on e you like.